We're currently in the process of migrating our website to a new platform and continuing to migrate content. Stay tuned for more details! Wow! We’ve Sold Out the Library Marketing and Communications Conference AGAIN! 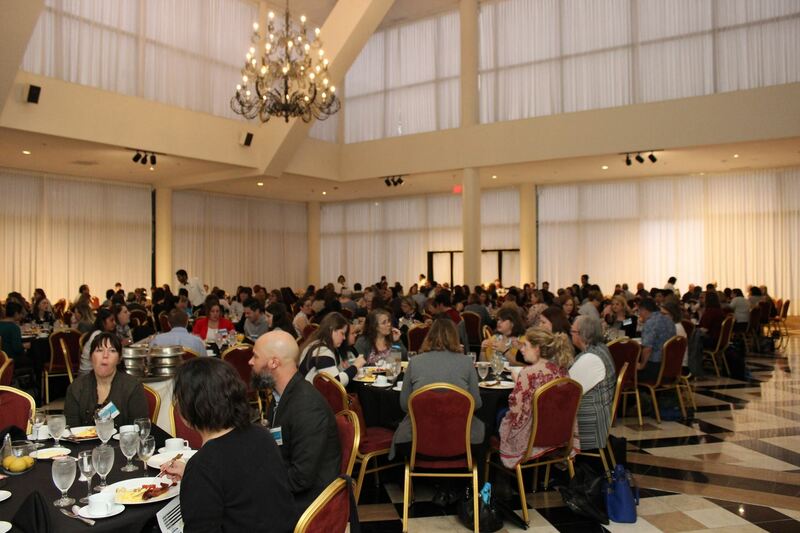 The Library Marketing and Communications Conference is sold out for another year! Even though we moved to a bigger space in 2018, the conference is already at full capacity. Thank you to everyone who has registered to a end. We look forward to seeing you in November! We will announce the conference schedule next week. We have 36 sessions across 8 tracks, featuring more than 50 speakers from across North America. Stay tuned! LMCC18 CALL FOR PROPOSALS OPEN! THE LMCC18 CALL FOR PROPOSALS IS NOW OPEN! 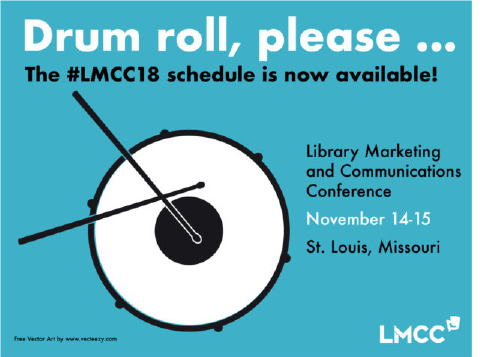 The Library Marketing and Communications Conference (LMCC) Planning Committee invites you to submit presentation proposals for consideration to our 4th Annual LMCC in St. Louis, Missouri. The conference will be held November 14-15, 2018, at the Hyatt Regency St. Louis at the Arch. Successful proposals will showcase the tried and true, the latest trends, and the best practices in marketing and communications. Provide practical tips and takeaways that can be immediately applied to any library’s communication and marketing efforts. We’re looking for speakers who have done this work long enough to have experiences and lessons to share. You should be able to discuss the theory behind your decisions, as well as your actions themselves, and your results. Ideally, your presentation will be applicable and transferable to other types and sizes of libraries. Have an idea? Please apply! The deadline for submitting proposals for LMCC18 is May 25, 2018. For more information on submitting your proposal, suggested topics for LMCC18, the proposal timeline, the criteria for acceptance and the actual Call For Proposals form – please click here to visit the 2018 CFP page. Go ahead and make your budget requests and start your trip planning for St. Louis this November! You can access the hotel reservation link via our Travel/Accommodations page –discounted rooms are already available for booking. Thank you for sharing your expertise and we look forward to receiving your proposals for LMCC18! 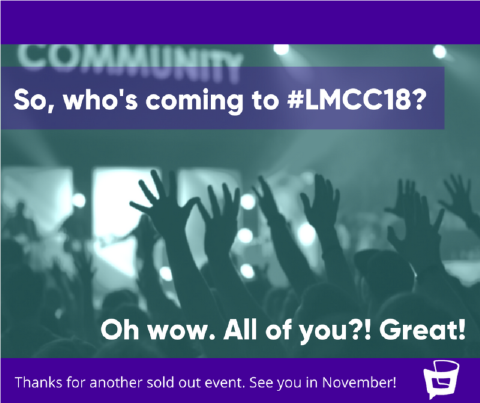 Any questions specifically about the CFP or submissions, please email with the subject line “LMCC18 Speaker Questions” to speakers@librarymarketingconference.org.